As part of the audience of American Idol, Season 2, we sat through lots of awful songs, singers and performers…we endured the comments of the judges, and we tried to laugh at Ryan Seacrest. 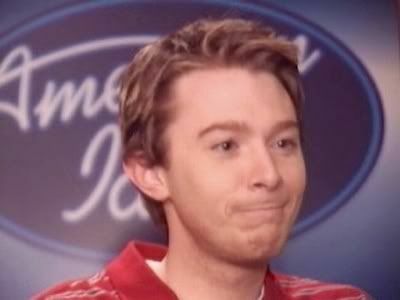 But it was all worth it because we were introduced to the Real American Idol, Clay Aiken. Behind the scenes, many crazy things were asked of the contestants. Some of the silliest were the interviews with the Jaded Journalist. 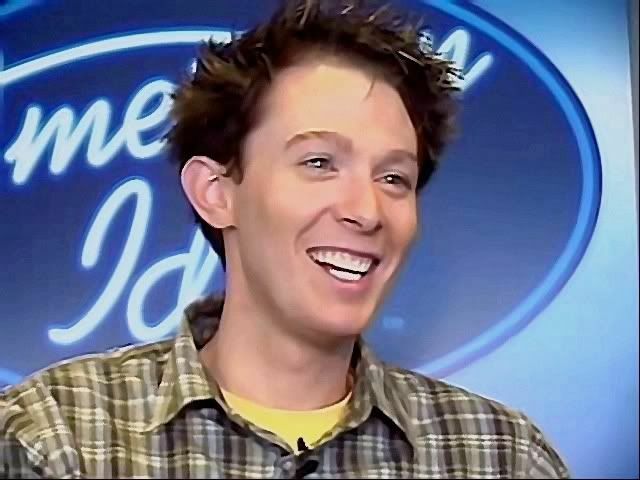 These interviews were taped and put on the official web site for American Idol. The best part of these crazy interviews was the “snark” that Clay gave right back to the interviewer. That made the interviews a lot of fun. 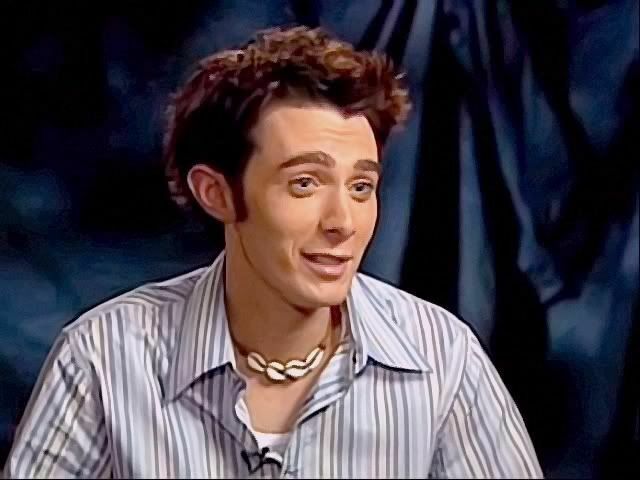 The Jaded Journalist was a part of American Idol from the second season through the fifth season. This fake entertainment reporter was on the American Idol website. The Jaded Journalist had many jobs…he wrote recaps of the show, ran an email feedback column, and conducted video interviews of finalists in Hollywood and interviews of auditioners in other cities. The identity of the Jaded Journalist, whose face was obscured or hidden in videos, was kept relatively secret from the character’s inception until 2004, when his identity was revealed to be Micheal Krogmann, a staff member of the American Idol web design team. Krogmann was also the host of the Late Night FOX Show, an online talk show. Three of the interviews are below……….crazy guy, but Clay is great!! These videos were all new to me. I didn't know about Michael Krogmann's interviews back during AI2. Clay didn't give in to the snark but kept his cool. Thank you for the videos. I never saw them before. Clay is very funny. I like the first one. He knew what to say. Thank you for a morning chuckle! Clay’s wit and sense of snark is well-documented! Error: Error validating access token: Session has expired on Tuesday, 21-Aug-18 16:13:01 PDT. The current time is Monday, 22-Apr-19 23:30:38 PDT.